YJ YouSports - stylish news template that runs on a powerful platform that allows you to configure the layout template to your liking. 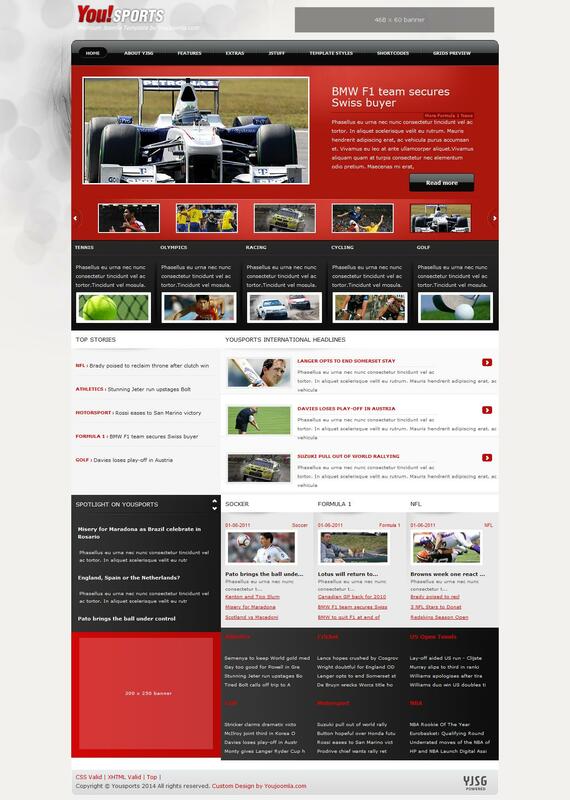 The original layout design made in bright colors that are perfect for creating news sites. Corporate framework studio gives general pattern optimization, compatibility with all browsers and tablet devices. Availability K2 component provides a convenient site materials. In the template includes additional extensions that provide more functionality: YJ Newsflash and YJ News Slider. The template contains 3 color style and background 2.